August was a boring month as far as high-powered releases go. September is not, and there are a couple of series (particularly the Steins Gate combo pack hovering around 1500 with 4 weeks to go and the second half of Attack on Titan) which figure to have a pretty decent chance of making the US BD charts and providing really useful data. 4 solid datapoints wouldn’t be much, but it’s a lot better than 2. I could get more pumped about that if one of the release titles due out this month weren’t straight-up false advertising. WataMote doesn’t really have a consistent sense of episode structure in a way that some comedies do. Contrary to last week’s, where the rain and the cold bits split the episode, this week’s show ran through a series of 3 skits. The underwear one invoked some legitimate pity, and had a fairly touching conclusion. 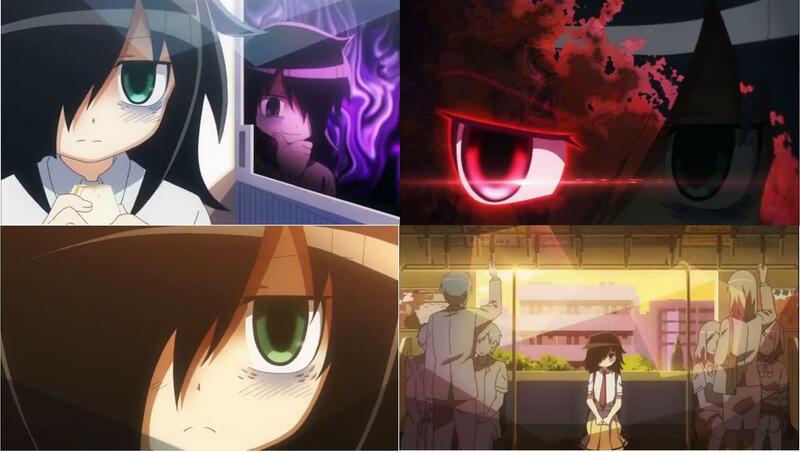 * However, the others (the nightmare and the molestation one) were based around karmic payback for Tomoko’s stupidity. All of which was accompanied by the series’ typical visual panache and some nigh-flawless transitions.